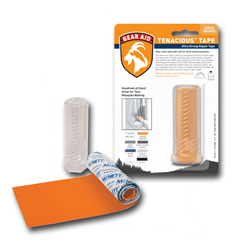 View cart “McNett Tenacious Clean Tape Patches” has been added to your cart. 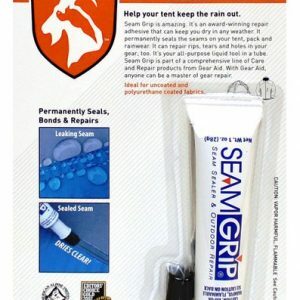 Thanks to Gear Aid’s GORE-TEX® Fabric Repair Kit, GORE-TEX and WINDSTOPPER® fabric repairs have never been so easy. 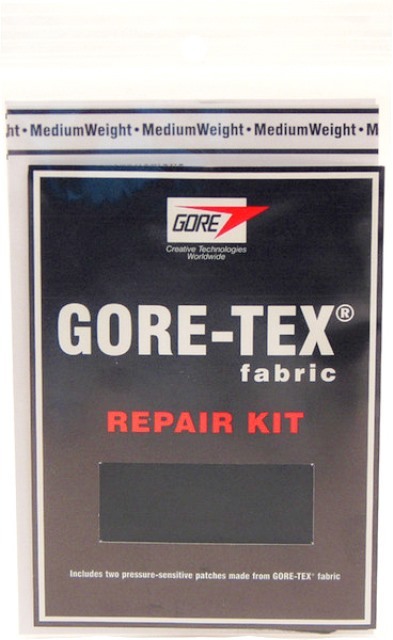 Each Gear Aid™ GORE-TEX Fabric Repair Kit contains two adhesive-backed GORE-TEX fabric repair patches. 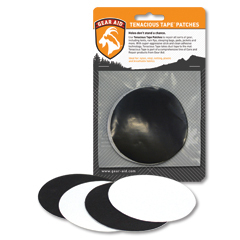 The pressure sensitive patches can be cut to the size and shape you need for most any hole, rip or tear. The kit is perfect for waterproof-breathable jackets, pants and boots, plus it repairs holes and tears in camping gear, rainwear and backpacks. 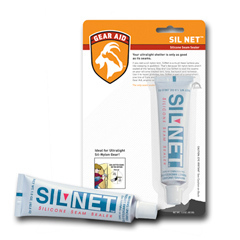 Just patch and go—no heat required for fast, long-lasting repairs in the field or at home. So, when your GORE-TEX gets a tear, don’t despair. Just do a quick repair! With a GORE-TEX Fabric Repair Kit by Gear Aid.